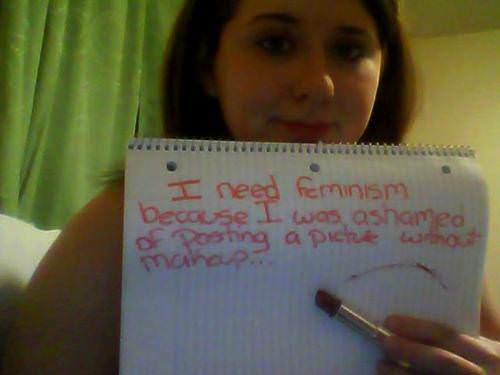 Home F-Word Feminism And Make-up: Do They Go Hand-In-Hand? To do make-up or not to do make-up? Is it patriarchy or choice? The cosmetics and makeup industry all over the world is huge! Personally, I love make up since I feel it allows a person to openly express their own personal style.We all know that make up is extensively used by theatre personalities as it helps them express new or alternate identities on stage. In a way, it really is an art, because if you don’t know how to do or handle make up properly, you might end up looking garish and out of place! Unfortunately, instead of a mere personal indulgence as it earlier was, today make up is seen to be a necessity for women (and sometimes teenagers as well). Women are expected to be dressed and dolled up on a daily basis which can not only be tiring for some but it also enforces people to adhere to a particular routine. Cosmetics and costly make up products feed into an obsessive culture of consumerism. Make up is seen as reflecting the middle class’s aspirations for many Indian women are likely to buy international brands because it brings along a certain status. 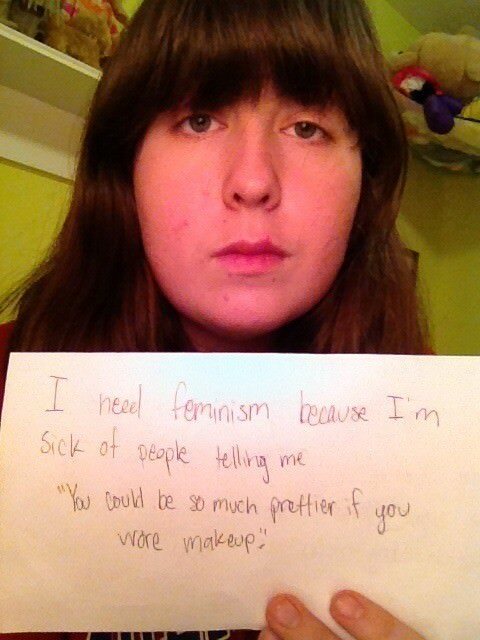 I’d like to explicitly point out that there are certain women who like to use make up everyday by choice. This is completely okay, since their agency is involved. 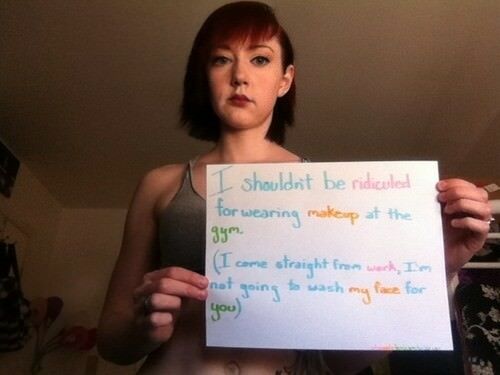 But what is not okay is the idea that a woman cannot not use these products and be happy with herself the way she is. It should be the woman’s decision as to how she needs to present herself to the world, with or without makeup. Young girls and women today face extreme body image issues since they are taught to dislike their natural self. The constant self surveillance measures they use are harmful to their body images. Another problem I have with the cosmetics industry is with regards to the effectiveness of the products. Many researchers have found that manipulating the consumer psychology plays a big role in the marketing and selling of the make up and cosmetics. In fact, a lot of the products’ effectiveness is questionable and it has been noticed that the heavy chemicals used can sometimes end up harming the facial skin (which by the way, is a lot more sensitive than the rest of the body). Herbal and Ayurvedic remedies for the skin works better in most cases. A research conducted by the Spanish Foundation for Science and Technology has found that cosmetics predominantly work on the “feel good” factor, i.e. a lot of women buy make up not because they find them useful but because it makes them feel good about themselves. The reasons for this could be the ones mentioned before in the article. The unrealistic media representation of women leads to many problematic attitudes such as body shaming, fat shaming, anorexia, etc. Again, I’d like to stress on the fact that the make up industry in itself is not the problem. 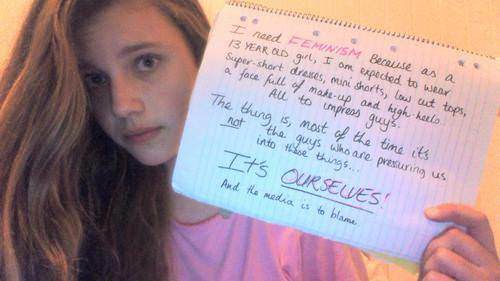 In fact there is a popular misconception that it is anti-feminist, which it is not! But if the society dictates that women cannot go out without using these products, it simply adds to the growing list of body issues that women already have. And then, self-love and acceptance goes right out of the window! On a lighter note, check out this hilarious satirical video on a feminist make-up tutorial on bringing down patriarchy! Writer. Gender activist. Sexuality educator. IT engineer. Loves Live.